Last week, I was perusing Berkeley’s course catalog, which basically entails all the courses that one could major or minor in once accepted to UC Berkeley. I came across so many absurd yet interesting courses, and I was really intrigued by how much the educational system has developed over the course of years. Berkeley provides courses right from Bengali to Astronomy and the richness of these classes is what makes studying so exciting. The courses are catered to your specific interests. If you are really passionate about the LGBTQ+ community and sexuality, then maybe Lesbian, Gay, Bisexual, and Transgender Studies is up your alley? Or maybe, you are interested in getting to the crux of logic? Most countries don’t benefit from such a rich and diverse educational system. For instance, in India, there are only three streams that students can pick from – sciences, arts, or commerce. Yes, you read that right. There are just three streams, and students need to make this decision in 10th grade when they are just getting accustomed to rigorous studies. What’s also interesting (and horrendous) is that a student’s decision not only determines what he or she will be studying for the next 20 years but also how other people will perceive him/her. This is deeply rooted in this Indian mentality of “deeply caring” about what others think and trying to impress them. For the past centuries, the running myth is that science is the best stream (chosen by students who get 85% and above in their board exams) followed by commerce (60% and above) and lastly the arts. This could be attributed to the “herd mentality” and also the fact that engineering was an extremely popular major in the 2000s. During that time, the use of computers was rising and many people Many people chose to pursue the sciences (ie engineering) because they were passionate about the subject, and so the worked hard and earned a good living. Others saw this and believed that it was solely due to the stream that they had picked. So, parents encouraged their children to pursue the sciences even if their interests lay somewhere else. The computer industry was booming, so even the next generation of kids was able to earn a decent standard of living. Choosing science soothed parents because there was a sense of security that their children would get “good” jobs. The fact that social stigmas are entwined into the child’s decision only makes matters worse. No longer is about grades but also what other people are going to think and whether the student will be able to uphold the family’s image. This can be frustrating and confusing for children at such a young and age, and what makes it worse is that switching streams is equally shamed. So, the child is forever stuck in this vicious cycle. I know, I’m bad-mouthing my own country, but things need to be said. This article would be incomplete if I didn’t include the paradigmatic, budding shift that is slowly taking place in the country – the Indian cinema is illustrating students’ plights and struggles. 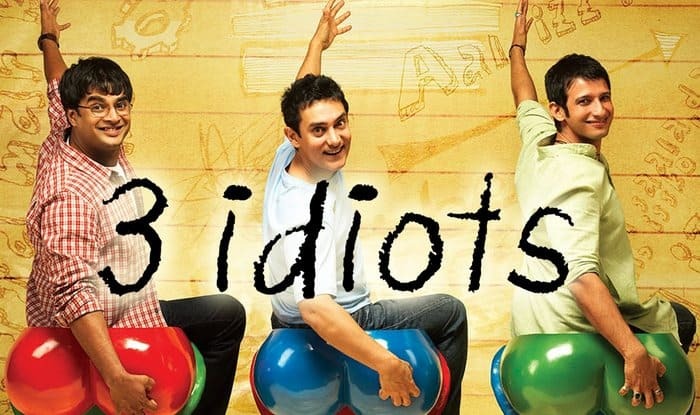 Movies like 3 Idiots prove to the masses that pursuing science, especially engineering, that demand time, effort, and dedication doesn’t make sense if you don’t have the passion for it. Even westernization is proving to be beneficial in this scenario. Influenced by the West, parents are realizing that their children don’t need to make a decision in 10th grade, and it’s alright for their kids to be confused between majors. I’m glad that this shift initiated during my childhood because I don’t know how I would have convinced my parents to support me with my interests – Astronomy. Next Next post: Does Dark Matter exist?